Victory Brewing Company's "Bark for Beer at the Dinner for Dogs"
Join the volunteers from the "10-10-10 Project" raise money for Canine Partners for Life, at Victory Brewing Company's "Bark for Beer at the Dinner for Dogs" Benefit Event. Canine Partners for Life is a non-profit 501(c)(3) organization dedicated to training service dogs, home companion dogs, and residential companion dogs to assist individuals who have a wide range of physical and cognitive disabilities. Based in Cochranville, Pennsylvania, CPL places service dogs nationwide. Home companion dogs are generally placed with 250-mile radius of the campus (sometimes further) and residential companions are place within a 100-mile radius of the campus. One teammate of the "10-10-10 Project" is currently working with Teddie, a six-month old yellow Labrador retriever who will eventually be placed with a person in need. 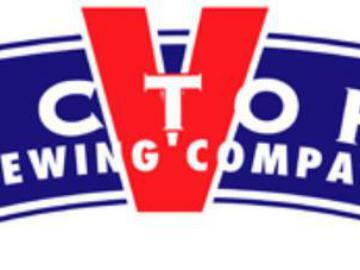 On December 4th, 2011 from 6pm to 10pm, Victory Brewing Company will be sponsoring a three course sit down dinner with each course paired with a corresponding craft beer. A little over 25% of the ticket proceeds will go to Canine Partners for Life. Join us at our "Bark for Beer at the Dinner for Dogs" Benefit! Tickets for the beer dinner are $50 and tickets are available on http://caninepartnersforlife101010project.ticketleap.com/victory-brewing-companys-bark-for-beer-at-the-dinner-for-dog or in person with any of the administrators of this event. A vegetarian entree option is also being designed by the chef. Once we receive this, we will update our menu. What is the "10-10-10 Project?" The "10-10-10 Project" is a class project for Temple University's Entrepreneurial Marketing class, taught by Dr. Jean Wilcox. The class is broken up into 10 different teams, give $10 of seed money and we are challenged to increase that $10 by tenfold. However, in this class and this projects' history, the students have far exceeded that goal, and have gone on to raise thousands per team, with the team raising the most ($4,700) in the Fall 2010, and the Fall 2010 semester cumulative team funds totalling $17,353. The project has a few limitations for the students, with the most important goal to "do good." The money we raise is not for our personal benefit, but we are to pick and raise money for a charity of our choice.